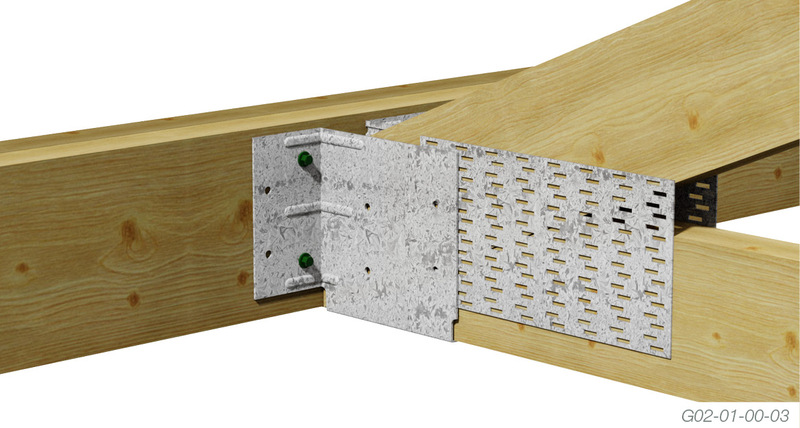 Can be used for both left and right hand side positioning against an Easy Fix Girder Bracket. Makes securing hips to girder trusses structurally sound. 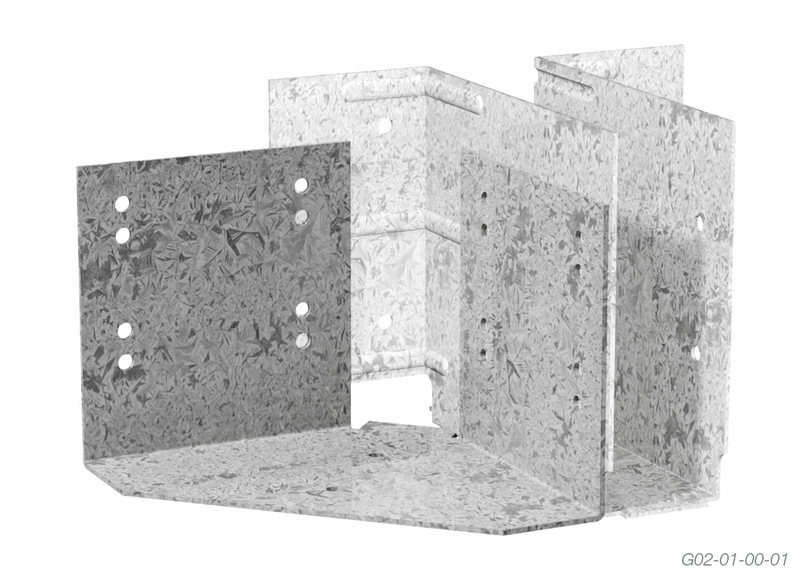 Position and fix the Easy Fix Girder Bracket as per standard application (refer to Easy Fix Girder Bracket Product Brochure for full application details). Position the Bailey Bracket to align correctly with the Easy Fix Girder Bracket, making sure the screw holes for both brackets are positioned on top of one another. 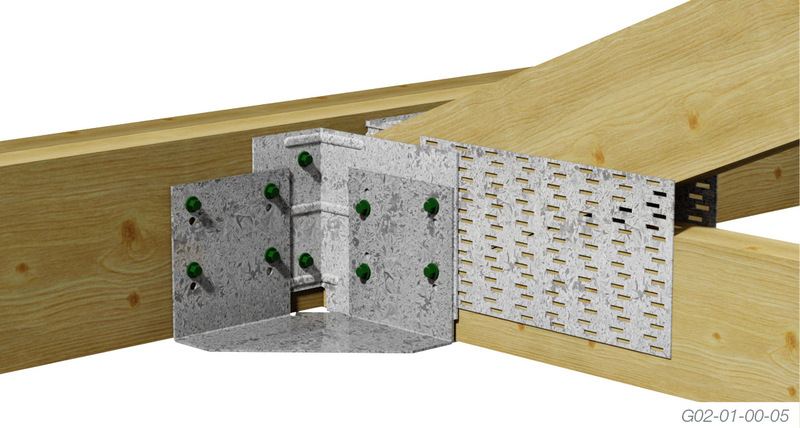 Secure the Bailey Bracket to the Easy Fix Girder Bracket and Girder Truss using 8/35mm Green Tip #12 Screws. Position and secure the carried hip truss using 2/65mm Green Tip #12 Screws. 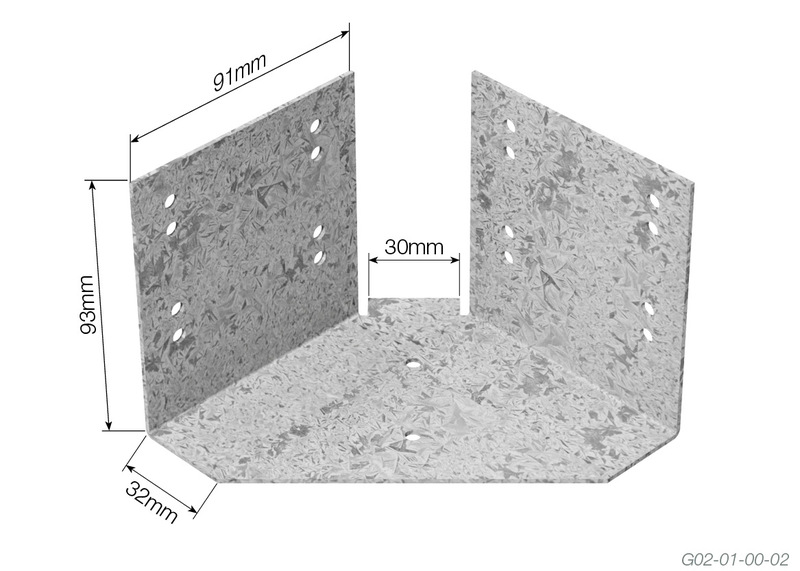 The Bailey Bracket provides an easy method to carry internal hip heels butting into two girders. To further assist in the evaluation of these spans, please refer to the Load Table noted below. The following layout depicts the common use of the Multinail Bailey Bracket. The capacities for Limit State Design are applicable for all trusses in domestic structures. 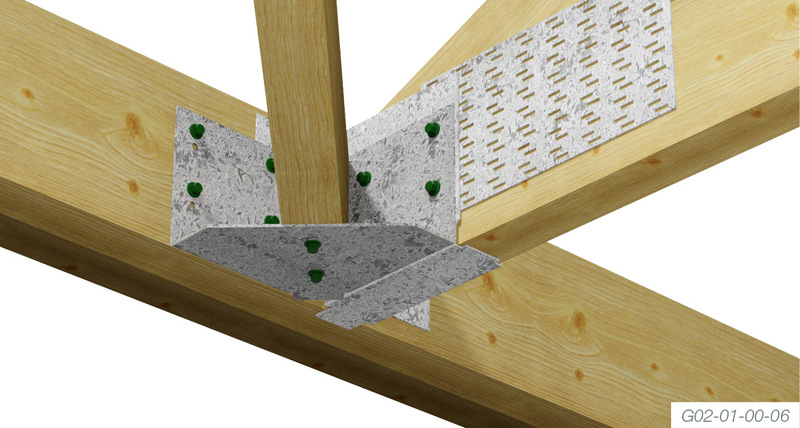 Table capacities have been derived from AS1720.1 - Timber Structures. For higher uplifts use 1 x Cyclone Tie wrapped over hip and under both girders. Uplift capacity can be increased to 13kN. 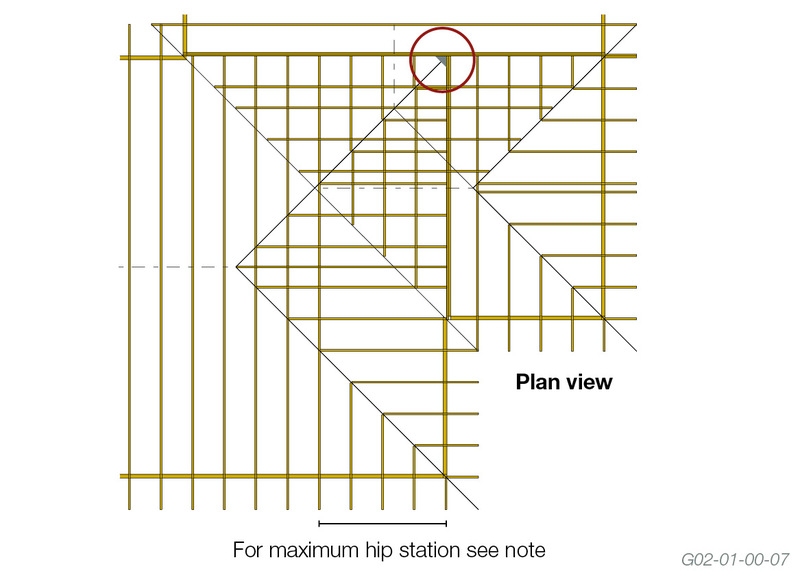 For dead and live loads the maximum hip station is 3.6m for tile roof or 4.8m for sheet roof.